“People in the area are tired of not having clear answers,” local butcher Michael Fleming said. STEPASIDE LOCALS ARE getting angry at the lack of progress in reopening its Garda station, accusing the government of keeping them in the dark on the issue. It’s been a year since Minister for Transport Shane Ross announced that his constituency’s Garda station would reopen. Despite that announcement, the plan to reopen the Garda station has been thrown into doubt by the lack of progress on the issue. Local butcher Michael Fleming said that although people still believe that the station will open, they’re frustrated by the lack of progress made so far. “We’re annoyed. People in the area are tired of not having clear answers,” he told TheJournal.ie. He said that at the end of last year, Shane Ross and Kevin ‘Boxer’ Moran met with a group of campaigners. He said that at that meeting, Ross said that the station “would open very soon” and that he would do everything in his power to open it. Fleming owns a butcher shop that’s located across the road from the closed Stepaside Garda Station. He said that having that garda presence was important for the local community. Fleming says that although this happens all over the country, he says a review deemed that it was important that there would be a station in the Stepaside area. A Department of Justice report found that six Garda stations should be reopened. 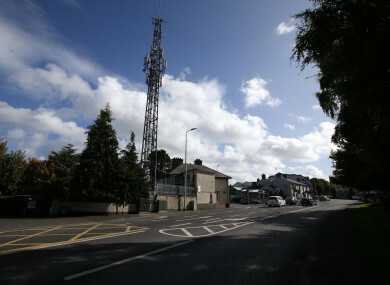 Stepaside was one of the six selected, although some viewed this as a political move as Ross had promised to reopen the Garda station during a general election. Local TD Catherine Martin, who has tabled a number of questions to the minister asking for a progress update, says that there had been “no thought put into” how the stations would be opened. We don’t know why it’s taken so long to reopen. At the end of a day there was commitment given, I don’t think there’s any excuse for keeping the public in the dark. She added that it’s important the proper resources are given to the Stepaside station. Garda numbers really diminished in the area since it was closed. But will we have Garda cars, equipment, etc? We don’t want a situation where the lights are on but nobody is at home. In response to a PQ from Martin this week, Ross said that the Garda authorities requested the Office of Public Works (OPW) to undertake technical surveys to determine the works which would be required to enable the stations to reopen. “I understand that the OPW has concluded the necessary technical surveys and advised the Garda Commissioner accordingly,” he said. “The Commissioner is currently considering the matter and has assured me that he will be reverting to the OPW shortly. It is not possible to say at this stage when the six stations will reopen as this depends on a number of factors, but my officials are engaging on an on-going basis with An Garda Síochána and the OPW as they progress these very important projects. Fleming said that he, John McClusky of the Step Inn and Des Kennedy of the local Centra are planning to hold a meeting in the near future with others involved in campaigning for the reopening of Stepaside Garda Station. Clarity is required from government, and the local community deserves an update and a progress report on when the Garda station will reopen. This must include specific timelines, as they have had enough of generalities clouded in non-specifics. Email “It's a year since Shane Ross announced Stepaside would re-open. It's still closed, and locals aren't happy”. Feedback on “It's a year since Shane Ross announced Stepaside would re-open. It's still closed, and locals aren't happy”.